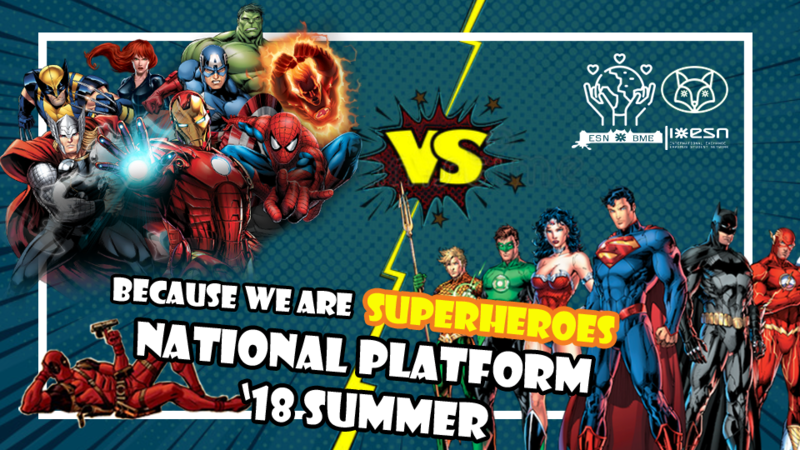 On the 24th of August, the third National Platform of 2018 will start, which is going to help us not just to implement the new #GreenESN project, but also all of us will have the opportunity to live again our childhood dreams and become a Superhero! Are you ready for the next adventure? The location is Gárdony, and the event is organized by ESN BME, who has already started organizing the NP to make the most out of it, so you can expect a very fruitful event with many discussions, SSO changes (YAAAAS) and of course teambuilding sessions. Not to mention the fact that you can be a Superhero! Invite every relevant person to the event, let's get together and have an amazing NP!